I was at the Avenues finishing up some errands when the MAC Snow Ball Collection (Holiday 2017) display caught me eye (you can see the display from afar without having to actually go in, because the display is literally situated at the entrance). Usually, MAC Collections start trickling into local stores months and months after their world-wide release… if they even make it to Kuwait at all. That’s why I figured it was too soon to start stalking all the local MAC stores. I’d already left my name and phone number with the majority of the MAC stores in the country, earlier, in the hopes that they’d inform me (usually via mass text) when the MAC Snow Ball Collection would hit the local stores. I did not receive a single phone call nor text (not a one) when the collection was actually released (typical Kuwait). Since the collection had been released in Kuwait without my knowledge, a lot of the things that I had been planning on getting were already sold out! Outwardly, I might have seemed calm, but inside I was seething! 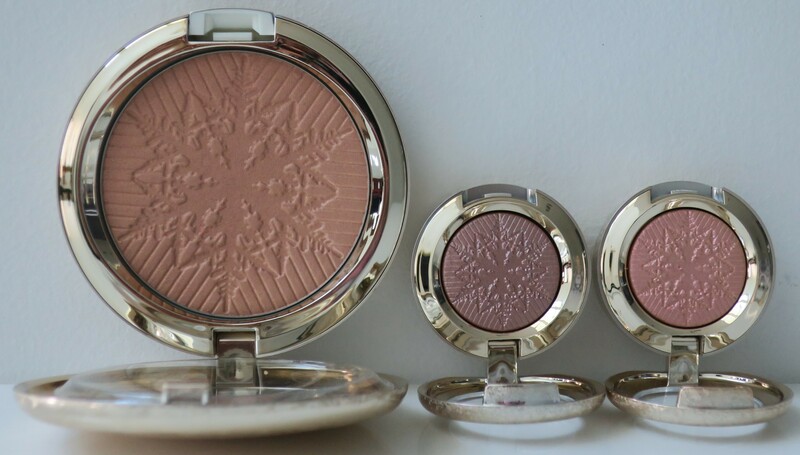 I’d really, really, really been looking forward to getting my hands on a few choice pieces from both the Core Collection (previewed here) and the Sets & Kits (previewed here) of the MAC Snow Ball Collection! I was heartbroken when the Sales Assistant told me that the both Face Bags (Sequined Rose-Gold Bag, 140 Fan Brush and Extra Dimension Skinfinish) were long gone, because I’d had my heart set on repurchasing my beloved Whisper of Gilt Extra Dimension Skinfinish (previously hauled here). At least both Opalescent Highlighters were still available (surprisingly, I went for the peachier one instead) and most of the Extra Dimension Eyeshadows were still available as well so I snagged 2 of them. 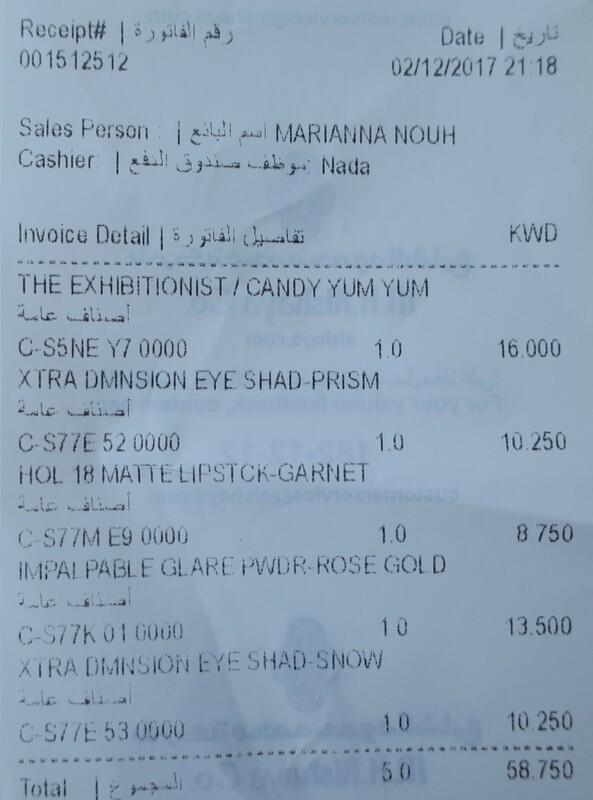 I even managed to find Rouge en Snow which was the only lipstick I actually really, really wanted from the Core Collection and the Candy Yum Yum Shadescents Kit (silver pouch) which besides the Face Bags was the only other Kit that I had to have from the Sets & Kits. Honestly, it was only pure dumb luck that I happened upon the Snow Ball Collection when I did! These are all the things I got from the Snow Ball Core Collection (previewed here). As you can see, the packaging is quite stunning! 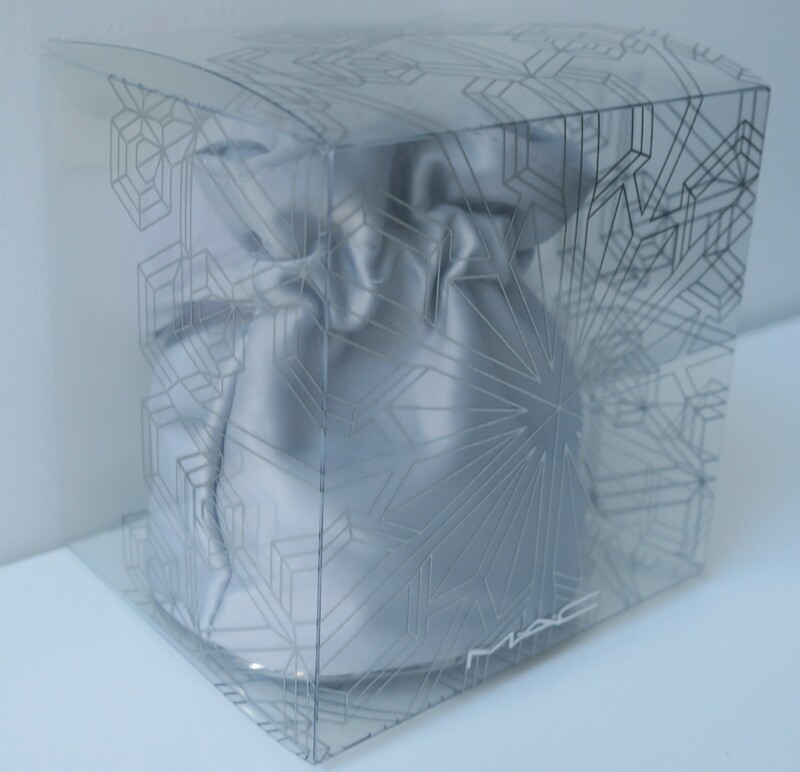 The outer packaging is transparent with reflective geometric designs, while the main packaging of the product itself is all champagne-y and metallic, basically, pure gorgeousness! It’s all very holiday-appropriate (unlike some of MAC’s previous Holiday Collections) while also being quite elegant and sophisticated! Normally I’m not a huge fan of the Arab Aesthetic (bling on bling on bling) but in this instance, I quite like it! In the interest of full disclosure, the Limited Edition packaging (definitely a Collector’s Item) is one of the main reasons I wanted to purchase a few bits from the Core Collection. With that being said, after seeing Snow Ball in person, I have to say that Alluring Aquatic (hauled here) is still my favorite packaging of all! Rouge en Snow is the only Lipstick that I coveted out of all 6 Lipsticks in the main Snow Ball Collection. Rouge en Snow (matte) and Elle Belle (amplified) were the only 2 reds in the main collection. The other 4 Lipsticks had a frost finish, which didn’t appeal to me at all, regardless of the actual shades. That’s why out of the 2 reds I went for the matte red, because I felt it was not only more wearable, but also more flattering, than the shiny red (which I just can’t pull off). Rouge en Snow is not as bright nor as warm as the classic red lipstick, and in comparison, it’s slightly deeper and more blue-toned. However, I don’t believe I’ve got anything similar to Rouge en Snow in my collection. Also, Rouge en Snow compliments my dark hair beautifully and looks equally great when paired with neutral eye makeup (my fave) or dramatic eye makeup! So far, I’ve gotten a lot of mileage out of my tube of Rouge en Snow, especially during late night Ramadan Gatherings. Obviously, my love affair with all things Red is still going strong! Truthfully, from the name Rouge en Snow, to its description Apple Red, to the actual shade itself (Red) and finish (matte), to the gorgeous packaging, I found everything about Rouge en Snow absolutely delightful! Rouge en Snow was a total win (for me)! Next up, are the Extra Dimension Eyeshadows. The ones in this particular collection are meant to be sheer with a shimmery finish, best used as toppers (over other eyeshadows). Even though only 1 is actually described as a duochrome, they all seem to have that duochrome-y feel (at least to my eyes). Aside from the festive packaging, they each come embossed with an absolutely darling snowflake design! Out of all 5 Extra Dimension Eyeshadows I only got the 2 that I’d initially wanted (preview here). The black one (Starry Starry Nights) looked boring. The white one (Frostwinked) seemed troublesome (especially with my yellow complexion). 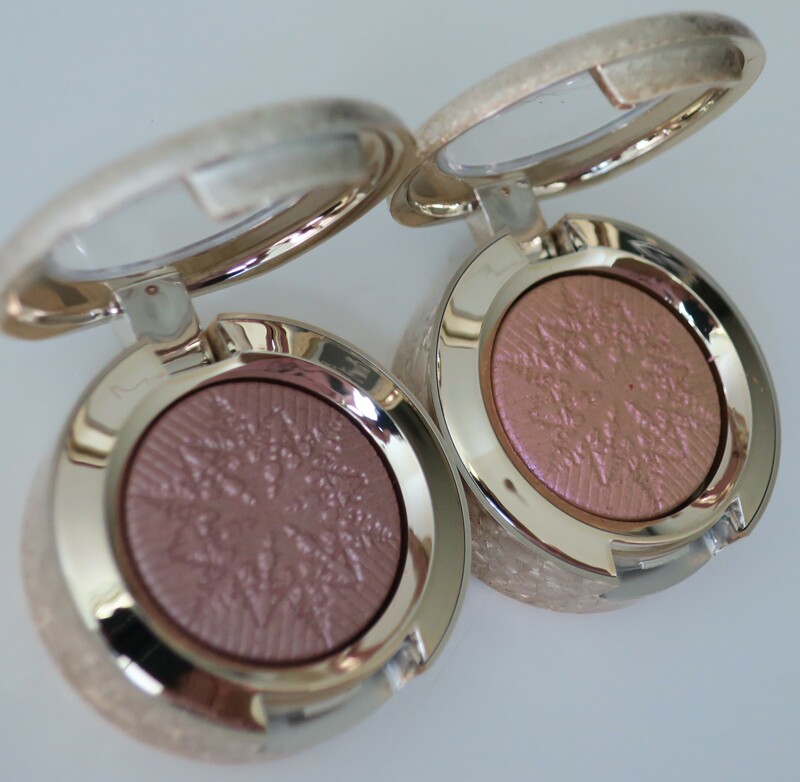 As for the pinky-gold duochrome one (Stylishly Merry), even though everyone was pretty much obsessed with it, it just didn’t appeal to me, especially since I feel like I’ve already seen many, many pinky-gold duochromes at this point. That’s why I went with the purple (It’s Snowing) and the pink (Delicate Drift) instead. Almost forgot to add that these can be used either wet or dry. So far I’ve only used them while dry. It’s Snowing might look pretty unassuming in the pan (if not downright boring), but on the lids… it’s absolutely gawgeous! In a way, it kinda’ reminds me of ColourPop Glass Bull Pressed Powder Shadow (haualage here). On myself, It’s Snowing is pretty much a taupe-y pink with a metallic finish. I figured it was pigmented enough to where I could away with wearing it by itself (with some liner and mascara of course). It looked beautiful… for about all 20 minutes, before it effectively disappeared, leaving behind tons and tons of shimmer. I patted down some of ColourPop’s Firefly Pressed Powder Shadow (haulage here) as a “base”, the second time around, and it made all the difference in the world! I feel like It’s Snowing would look lovely as a topper over browns or berries, and despite being somewhat shimmery, is actually pretty daytime-friendly! I’ve had my eye on It’s Snowing from the start so I’m super happy that I managed to get my hands on it. 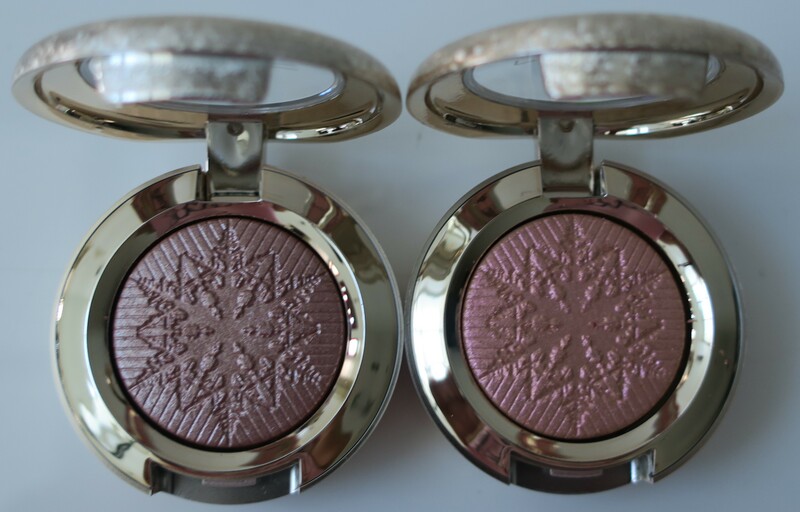 For me, It’s Snowing is the only must-have out of all 5 Extra Dimension Eyeshadows in the Snow Ball Collection. It’s a bit of a faff trying to make it work (I prefer using the least amount of products possible because… I’m lazy), but the ones in this collection are actually marketed as toppers (over other shadows) and honestly, it’s well worth the effort, because like I said, this baby is gorgeous! So, I picked up Delicate Drift because it intrigued me. Looking at it straight-on, it looked pink in the pan, but looking at it from an angle, it looked more gold. On my eyes, it was effectively pink glitter. So much so, that it reminded me of ColourPop Cherries Jubilee Super Shock Shadow (haulage here) which if I’m being honest, kinda’ bummed me out (because I didn’t want nor need another dupe). However, in different lighting, gone was all the pink glitter only to be replaced with gold glitter (wuuuut)! I went back to the previous room and it was all pink glitter again. Next room, gold glitter. So… pretty much witchcraft. With that being said, this thing is completely sheer, meaning it’s definitely meant to be used as a topper and only as a topper. Again, I don’t like the extra effort (the less products I have to use, the better) but Delicate Drift is a playful and fun magical shade, and I kinda’ like the fact that it can’t make up its mind on whether it wants to be pink or gold (technically, it’s yet another pinky-gold, except it’s less of a duochrome, and more of just straight up glitter). Not sure what exactly I’m going to pair it with (experimenting time!) but it’s nice to have, just the same. Hopefully you can tell from the photo, what I meant by saying that they’ve all sorta’ got that duochrome-y quality to them. Out of the 2 Opalescent Face Powders in the Snow Ball Collection Happy Go Dazzlingly (gold with sparkle) and Here Comes Joy (peachy gold with shimmer) I went with the peachier one, because ever the optimist, I was still hoping to stumble upon the Face Bag Kit (that contained Whisper of Gilt Extra Dimension Skinfinish) at any other branch (obviously I hit up all the other MAC locations on my “hunt” but to no avail). I figured that on the off-chance that I did find Whisper of Gilt, it would be silly to own 2 Gold Highlighters, which is why I skipped Happy Go Dazzlingly. Also, the fact that it had “sparkle” in its description kinda’ made me nervous. But I still wanted a Opalescent Face Powder from this collection, because of the packaging, and the fact that Opalescent Face Powders was an all-new product to MAC (if only in name), and most importantly, because I swatched both Opalescent Face Powders on my hand and Here Comes Joy had that lovely glow-y sheen that I simply adore! Regardless of how bulky it might look in the photos, it’s actually quite sleek and compact! My only gripe is that the mirror inside isn’t quite as large as I hoped it would be. 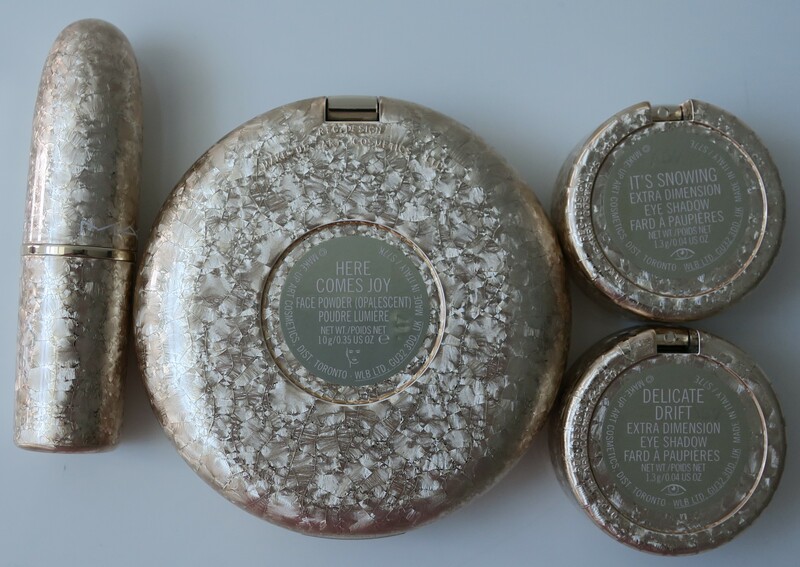 As you can see the Opalescent Face Powders also had that gorgeous snowflake design embossed on them. It took a lot (and I mean a lot) out of me, to actually use this thing, because I didn’t want to disturb the stunning snowflake design which would ultimately result in ruining it (I know, I know, I’ve got issues). I must say, it never ceases to amaze me how the Face Products from MAC (mostly the makeup-y stuff, not skincare) are far superior to any other brand (in my humble opinion). I’ll use other stuff and eventually adapt to them, but whenever I go back to MAC Highlighters (as an example) the difference in quality is downright shocking, making me wonder why I ever switched in the first place. 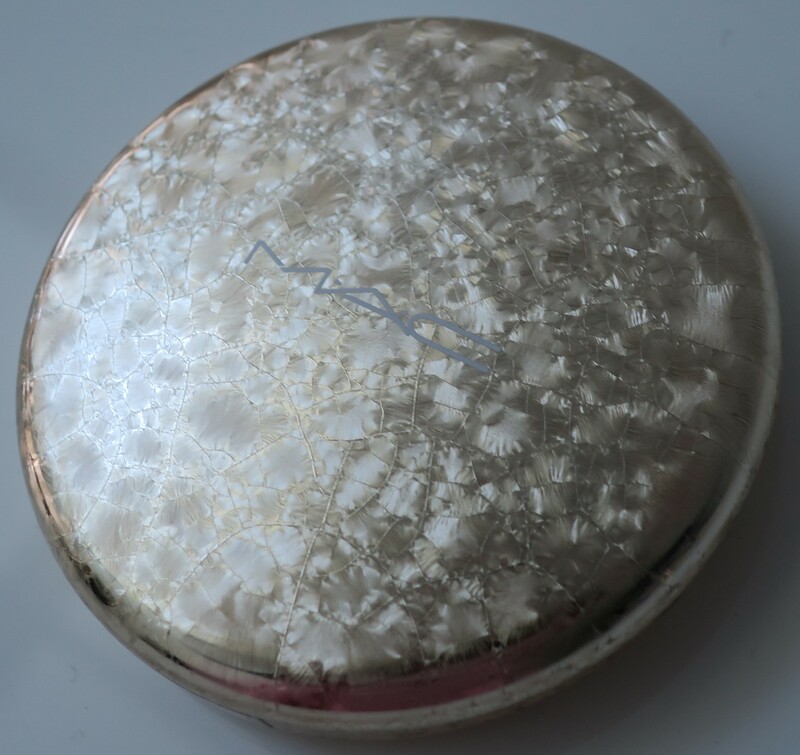 As opposed to my Laura Mercier Indiscretion Highlighter (haulage here) which was pretty much a glittery mess every time I tried blending it out, this MAC Opalescent Face Powder applied like a dream! Just as described, it was a shimmery gold except it had a peach-y sheen to it that gave my face that coveted lit-from-within glow! 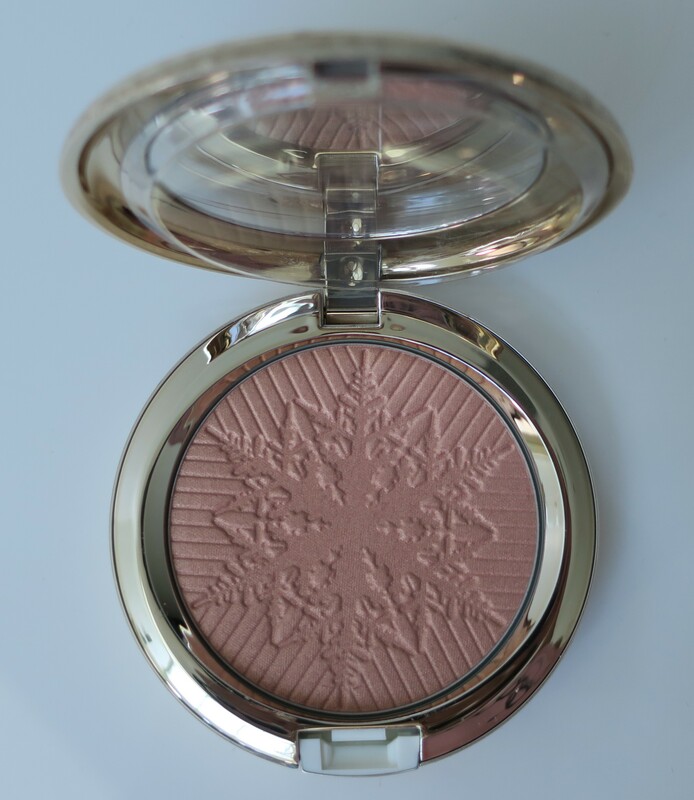 Here Comes Joy looks lovely on it’s own but I’ve taken to using it as a topper over peach blush (dotted and blended out in the very middle of the area with blush on) to achieve that healthy glow-y look! Something about this particular shade compliments my odd sallow skin wonderfully! Love! How cute is the snowflake design? I die! The packaging is pretty lush as well! 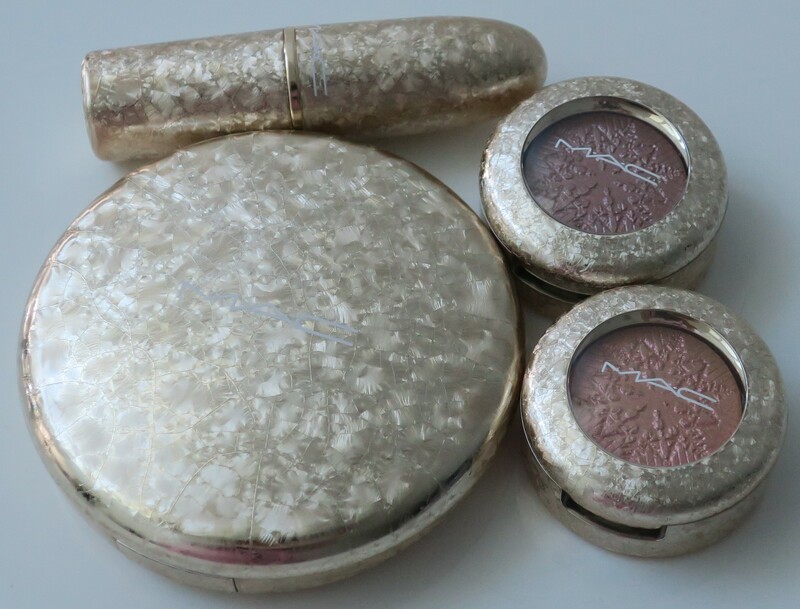 I’m so thankful that I managed to stumble upon the MAC Snow Ball Collection and get my hands on everything I’d initially wanted from the main collection/core collection (previewed here) of the MAC Holiday 2017 Collection! Unfortunately, the same can’t be said for the Sets & Kits Collection (previewed here) of the MAC Holiday 2017 Collection. Everything I’d wanted was already sold out! Luckily, people seemed less interested in the Shadescents Kits for some reason, so I managed to get my hands on the only one I actually wanted (mainly for the lipstick). The Silver Drawstring Pouch with furry charms on the end, albeit a bit juvenile, was actually quite adorable! Inside, along with tissue paper, were the other two products (Lipstick + Rollerball) in the Kit, both in the shade/scent Candy Yum Yum (hence the pink packaging). The Shadescents Collection (that included Candy Yum Yum) was first launched in 2016, which was also when I purchased Velvet Teddy Eau de Parfum (haulage here). I was actually looking forward to repurchasing Velvet Teddy (even if it was only going to be available as a Rollerball) but for whatever reason, MAC didn’t see fit to include it in the Snow Ball Collection. I passed on getting Candy Yum Yum fragrance when it was originally released as part of the Shadescents Collection because I didn’t wanna’ invest in a full-sized bottle, especially since it smelled like something I could easily find at Bath & Body Works for a fraction of the price. However, I really had my heart set on getting Candy Yum Yum Lipstick, which was only available for purchase as part of this Kit. I figured I might as well go ahead and purchase it, since the Kit included Candy Yum Yum Fragrance in rollerball form (which was less of a commitment, as opposed to the full-size fragrance bottle that was previously released) and came with a cute drawstring silver pouch, in addition to Candy Yum Yum Lipstick. As you can see, the frosted glass bottle of the Candy Yum Yum Rollerball actually comes in pink to match the actual shade of Candy Yum Yum Lipstick, which I thought was super cute! As for the scent itself, although a bit “young”, it was quite cute and fun! Candy Yum Yum was originally released as part of the Quite Cute Collection (haulage here) back in Spring 2011. Everyone (myself included) lost their minds over Candy Yum Yum! In fact, it was such a huge hit that MAC eventually added Candy Yum Yum their permanent line! They’ll re-release it in a collection (complete with Limited Edition packaging) every now and again, but it’s permanently available for purchase in the regular packaging. My first tube of Candy Yum Yum Lipstick was purchased as part of the Quite Cute Collection, but I’m pretty sure I’ve repurchased it at least once or twice since then. However, at this point, the one I’ve got is pretty ancient. Rather than risk getting a super old tube of Candy Yum Yum Lipstick (I highly doubt that the Sales Assistants on constant rotation at the local MAC stores are efficient and organized enough to separate old stock from new) I figured I’d pick one up in Limited Edition packaging (Holiday Collection, etc…) just to be 100% sure it was actually new. The original Candy Yum Yum Lipstick was a neon pink with a matte finish, hence the pink cap on the Limited Edition packaging. With that being said, I feel like this newer version is slightly darker and actually more fuchsia, than the original. Even the finish is all wrong. It used to be a matte but now it has a slight sheen to it. Maybe I’m just remembering it wrong? I dunno’ but something seems… off. 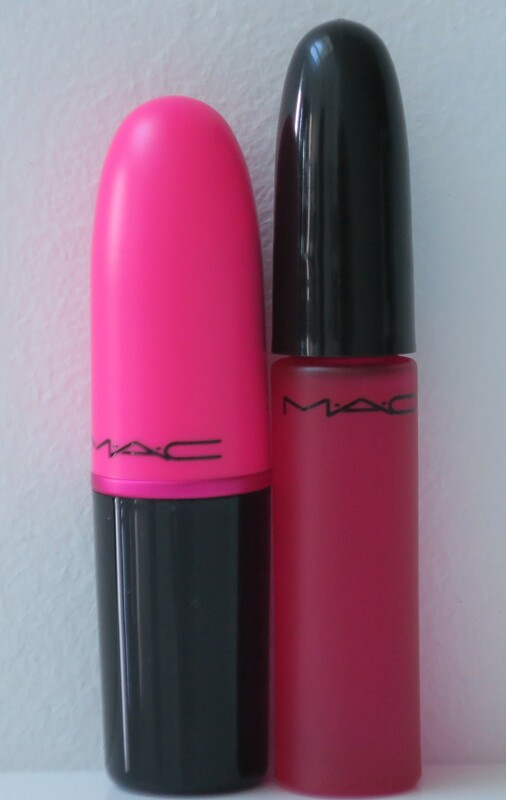 I’m guessing MAC couldn’t leave well enough alone and have probably reformulated the life out of it, which is why this version both looks and feels so foreign to me. Still, I’m glad I got my hands on a fresh tube of Candy Yum Yum Lipstick. Candy Yum Yum Lipstick and Candy Yum Yum Eau de Parfum Rollerball side by side. I wasn’t dying to get my hands on Candy Yum Yum Eau de Parfum Rollerball but it was the only way I could get Candy Yum Yum Lipstick. That said, the scent aint half-bad! 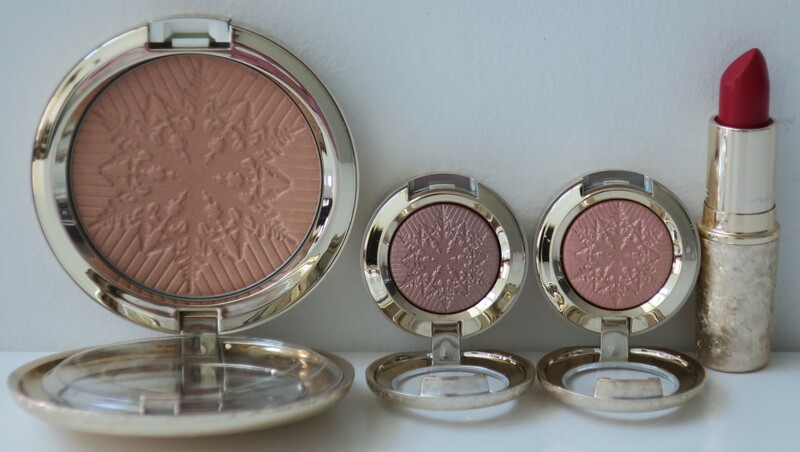 This is everything I managed to snag from the MAC Snow Ball Collection. It would’ve been more because I had my eye on several of the Sets & Kits (previewed here) especially the Face Bag that included Whisper of Gilt Extra Dimension Skinfinish (originally hauled here) except that nobody actually contacted me and let me know that the Snow Ball Collection was being released in Kuwait! As you can tell from the receipt, this all went down on December 2 2017 and yet several months later, I’m still salty about missing out on Whisper of Gilt Extra Dimension Skinfinish, as well as some of other Sets & Kits. I really wish the local MAC stores would be a bit more… competent. I did everything I could possibly do (left my name and phone number with several MAC stores) so they could give me a heads up (even if it was only via mass text), but I was never contacted (in any way), and only managed to stumble upon the MAC Snow Ball Collection by chance! So unprofessional, MAC. I’ve complained about this particular problem before, on my blog, but it seems several years later, still nothing has changed. It’s no wonder I’ve shifted my attention (and money) elsewhere.